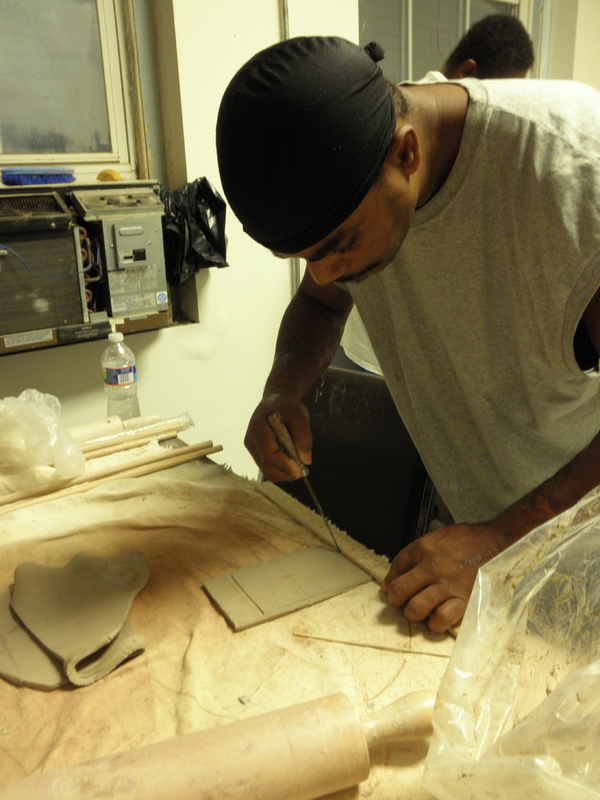 Since 2009, Baltimore Clayworks has provided weekly high quality ceramics programming to non-violent ex-offenders in the 3.3 Men’s Recovery program at Tuerk House, a recovery facility in Baltimore MD. Over this time, we have seen so much creativity and change in not only the men in the recovery program but also in the ceramic artists that teach in the classroom. “Working with the men was a humbling experience. We had our reservations but once we came and experienced it, it totally changed it. Regardless of what they’re going through, they are someone’s brother, father or son and they were so eager to learn”. The ongoing ceramics program at Tuerk House has been joyous and healing for everyone here at Clayworks as well as the wider community, so much so that Clayworks has been recognized as an exemplar of love and forgiveness through craft, by a Michigan-based institution, Fetzer Institute. This recognition and partnership has enabled us to make a short film capturing our learnings. We are also about to launch an expansion program with the men at Tuerk House, bringing some of the Resident Artists of Baltimore Clayworks to Tuerk House, to teach functional pottery, continuing the cycle of teaching and learning, creativity, clay, recovery and reciprocal healing and growing.